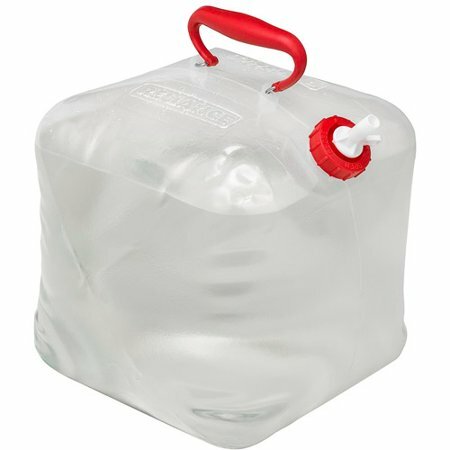 There are a lot of things that can happen on you camping trips that are unexpected and can be a problem like a sudden snow storm and snow on top of your slider and no good way to remove it, or running low on water and needing a container to get more when you are 40 miles from the nearest store. On our last trip it was fuel for our pickup, we were 100 miles from home and stopped to get fuel before going up the mtn and the fuel tank wouldn't take fuel it kept over flowing it's vent was plugged, luckily we had enough fuel to go up the mtn and stay we just couldn't run around. We were able to get fuel on the mtn I had emptied our gas can into the generator and filled it and was able to get 5 gals into the truck just filling the neck and letting it go down. On the way home we would stop and I would pump fuel from the gas can into the truck a little at a time using a battery operated pump. 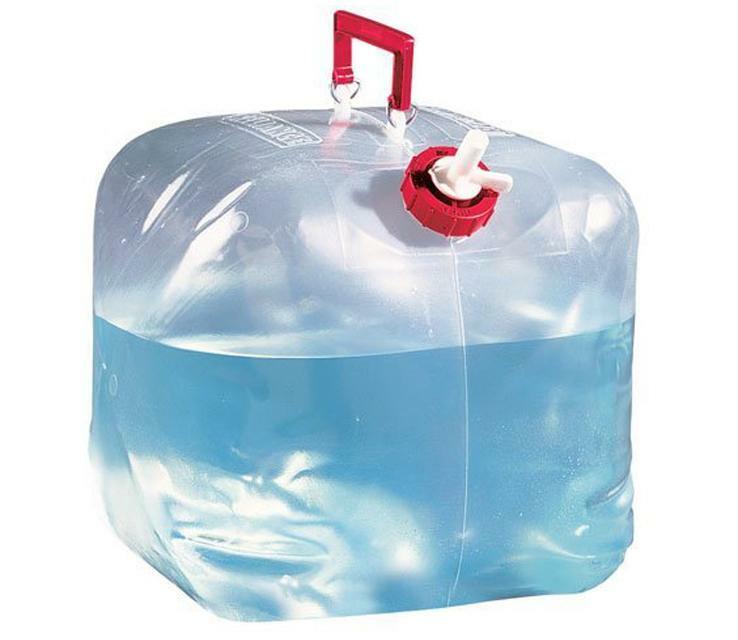 So I was thinking that a few extra collapsible water containers would be good to carry not only to get more water but also for more fuel if you had too , maybe something like these. 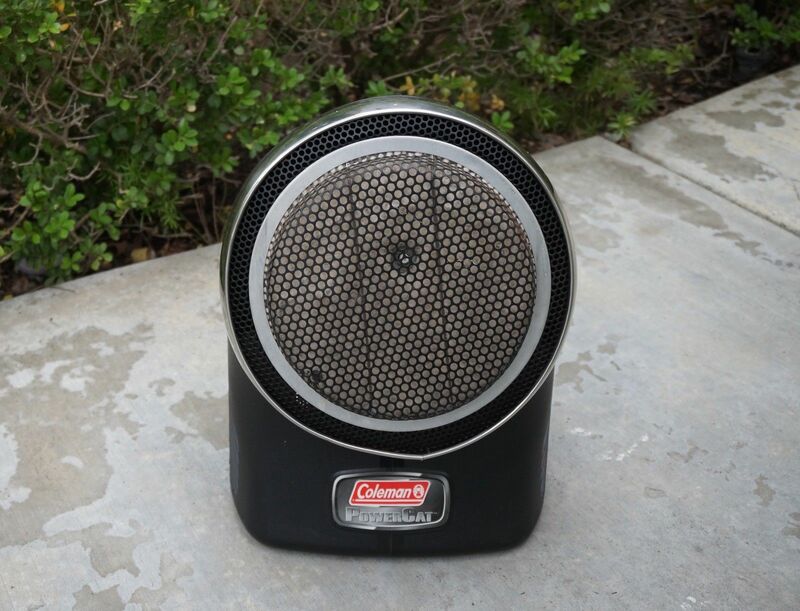 When we got our Coleman Cedar popup camper it came with a Coleman ProCat heater because the furnace was not supposed to be working, but it did. 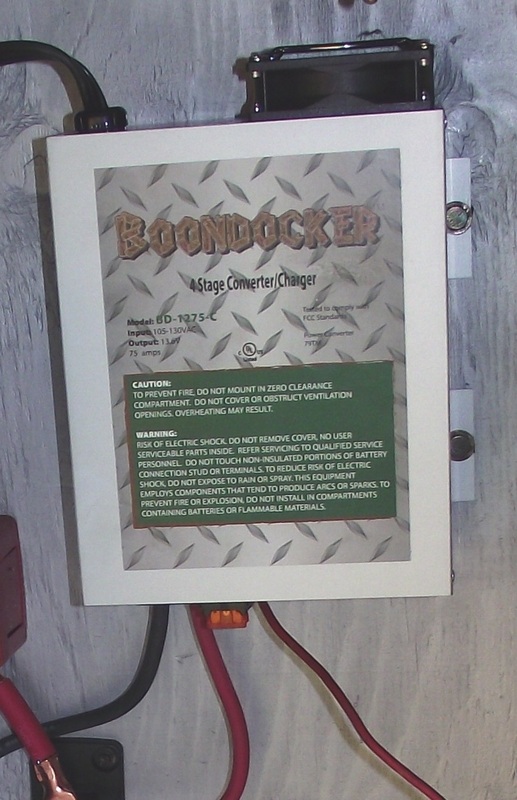 We used it several times in place of the furnace to save battery power and in our 8' popup it did a good job heating it putting out 3000 btu's, but the 1 lb cylinder wouldn't last over night on it's lowest setting. We tried it in our 30' fifth wheel and it would take the chill off but 3000 btu's was not near enough no keep it warm especially at 9000 ft plus. We had this new solar panel from Harbor Freight a whole 15 watts worth we had bought it for use with our popup and we took it along I set it out in the sun and was watching our Trimetric meter wen it was charging the batteries and with it tilted toward the sun I saw maybe 2 amps at best coming from it so not really worth the trouble. Well we just returned from a 6 day trip to the Bighorn Mtns again and we went to our stand by camp first and as usual no one was there, there were 2 trailers in the first spot and the same Mercedes Van camper that was there on our last trip was next then a fifth wheel with a Jeep and then a older TT so we took the same spot again. We had no neighbors till Saturday then the people with the fifth wheel showed up took a day ride and the next day it rained hard and they bailed and went home. We had bad weather 1 day and stayed inside but the rest was nice weather in the 70's during the day and 40's at night. 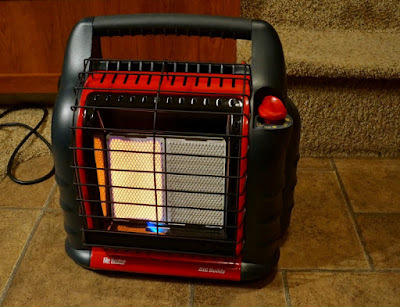 Our heater is not working low air flow so we bought a Mr Heater Big Buddy heater for the trip and over the trip we used 4 1lb cylinders so not bad there. We did not get to go anywhere on the trip once we got there except walking, I had filled up after the last trip and left the trailer hooked and when we got to Greybull WY before going up the mtn we stopped for fuel and the fuel tank would not take any fuel I thought the vent might have been plugged our that there was to much pressure in the tank and we still had enough fuel so we went up the mtn. decided to go pickup extra water and try and get fuel, we got the water bought the lodge store area was full of people from a tour bus and I didn't want to wait that long in line and thought I would come back the next day for fuel but it rained all day instead. We did manage to get a 5 gal can of fuel and about that in the tank for the trip home I had to pump it from the can into the tank twice to get it all in on the way. Well the Boondocker BD-1275-C 75 amp battery charger I installed for our batteries worked great, after 2 days and nights I fired up the generator and plugged the Boondocker into it and according to the Trimetric monitor I installed it jumped right to 57+ amps, which is way battery then the 30 amp car battery charger that I was using and way better then the stock converter would do. It cut way down on the charging time. We picked up a 3/4" thick rubber stall mat from a local western ranch and I cut 2 strips 8"x48" and we used them to help level the trailer on our last trip and they really made it easy to drive up on the 2x6 blocks.